Samer Abi-Nader, Division Director, BSC. DMD. MSC. FRCDC(C), Prosthodontist. Dr. Abi Nader is a dental specialist in Prosthodontics and an Associate Professor in the Faculty of Dentistry. He is a Fellow of the Royal College of Dentists of Canada. He attended McGill University where he earned a Degree in Physiology before completing his Dental Degree at the University of Montreal. After a one-year multidisciplinary residency program at the Jewish General Hospital, he completed his training in Prosthodontics at the University of Montreal. He is currently the Assistant Dean and Director of the Division of Restorative Dentistry. His main teaching responsibility is training the students in Fixed Prosthodontics. He provides the students with their simulation training in fixed prosthodontics as they enter the dental curriculum. He also delivers all the courses related to fixed prosthodontics in the third year restorative course as well as the advanced restorative concepts in the fourth academic year. He is also actively involved in updating and improving the implant as well as the restorative curriculum. He was awarded the W.W.Wood for excellence in dental education, the Ralph Silverstone award in recognition for an outstanding contribution to the development of the undergraduate teaching program in dentistry as well as the McGill Dental Students’ Society award for his involvement in the development of simulation training. He was recently awarded the Howard S. Katz award for his contribution to the undergraduate education at the faculty. His research interest is mainly concentrated on implant dentistry. He has authored and co-authored a variety of articles in peer reviewed dental journals. In addition to his academic position, He has lectured both locally and international on a variety of topics for both General Dentist and Dental specialist. Dr. Abi Nader currently holds a part time practice in downtown Montreal and Moncton New Brunswick. Dr Blomfield is a clinical specialist in Prosthodontics and an Associate Professor in the Faculty of Dentistry. He is currently Director, Senior Year Clinical Clerkship and Co-Director, Clinical Decision Making. He is also an Attending Staff Prosthodontist in the General Practice Residency Program at the Montreal General Hospital. His teaching focus is on Treatment Planning and all aspects of Clinical Prosthodontics. He received his dental training at the University of Melbourne, Australia (BDSc., LDS); University of London, Eastman Dental Institute, England (MSc.-Conservative Dentistry); McGill University (DDS, Dip. Rest.Dent.&Pros.) and the Medical College of Virginia - Virginia Commonwealth University (Cert. Maxillofacial Prosthetics). He has served the Faculty in various capacities during his teaching career; Chairman of Operative Dentistry, Director of Prosthodontics, Associate Dean - Student Affairs and as Interim Dean. He has been active in organised dentistry having served as Councillor for the American Academy of Operative Dentistry, Chair of the Dental Aptitude Assessment Committee of the Canadian Dental Association, Clinical Examiner for the National Dental Examining Board, Site surveyor Commission on Dental Accreditation of Canada, External Examiner in Prosthodontics for B.C. College of Dentists and two term Chief Examiner in Prosthodontics for the Royal College of Dentists of Canada. He holds Fellowships in the Royal College of Dentists of Canada, The International College of Dentists, The American College of Dentists and is a Member of the International College of Prosthodontists, The American Academy of Fixed Prosthodontics and the Association of Prosthodontists of Canada. Dr. Blomfield maintains a limited part-time Prosthodontic practice in Montreal. 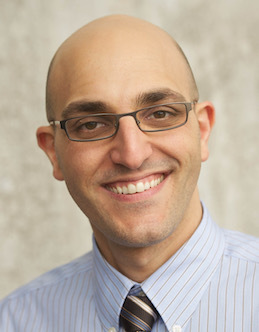 Dr. Omid Kiarash is a Periodontist and an Assistant Professor in the Faculty of Dentistry. He is Division Director of Periodontics and oversees all aspects of the DMD II, III and IV periodontics curriculum. Dr. Kiarash is also involved in the teaching of the undergraduate Implantology program. He is the director of multiple courses as well as the Periodontal Clerkship Program. Dr. Kiarash also serves on the Promotions, Undergraduate Curriculum, Purchasing as well as the Clinical Education Committees in the Faculty of Dentistry. His main interests are bone regeneration, 3D tissue manufacturing and biomedical engineering. Dr. Kiarash obtained his DMD degree from McGill University. He received his Post-graduate specialty training in Periodontics at Case Western Reserve University. During his training he pursued his clinical research at the same University in collaboration with the University Hospital as well as Cleveland Clinic, where he obtained his MSc in Dentistry. Dr. Kiarash is a Fellow of the Royal College of Dentists of Canada and a Diplomate of the American Board of Periodontology. He is the Vice-Chairman of the Predoctoral Directors Organization of the American Academy of Periodontology (AAP). He is also a member of the Education Committee of the AAP. Dr. Kiarash is on the Executive Committee of the Association of Periodontists of Quebec (APQ). He is also the Treasurer of the APQ. He serves on the taskforce for the Federation of Dental Specialists of Quebec. Dr. Kiarash is a member of many national and international organizations. He is also a Study Club Director for the International Team for Implantology. Dr. Simon Tran is the Graduate Program Director and an Associate Professor at the Faculty of Dentistry and trained as a Periodontist. His office manages all aspects of the graduate education for the 90 Doctoral and Master’s students in the McGill research-intensive graduate program in Dentistry and Craniofacial Health Sciences. He teaches undergraduate and graduate level courses in oral biology, in periodontics, and in scientific reading. He is the director of the McGill Craniofacial Tissue Engineering and Stem Cells Laboratory which has for mission to develop experimental therapies for the repair and regeneration of salivary glands and dental and craniofacial tissues. His research bridges the lab bench to the clinic. Dr. Sara Behmanesh is a specialist in Periodontics and a Faculty Lecturer. She teaches the second and third year didactic courses in periodontics and works with fourth year dental students in the Undergraduate Teaching Clinic. She attended University of Maryland School of Dentistry and finished her dental training in 2008. She then pursued a 3-year post- doctoral residency program in Periodontology at the same institution. She received a certificate in Periodontology and a Master of Science in Dentistry in 2011. She has an interest in clinical research specifically use of cellular allografts. She has also published a paper on the use of “allograft cellular bone matrix” in reconstruction of alveolar ridge in the Journal of Periodontology. She is a Diplomate of the American Board of Periodontology and a Fellow of the Royal College of Dentists of Canada. In addition to teaching at McGill University she has a private practice in Saint-Lambert. Dr. Jeff Myers is a General Dentist at the Faculty of Dentistry. As Associate Dean, his responsibilities include oversight of the Faculty’s clinical activities and patient care. Together with his team of dental assistants, hygienists, clerical, technical and other specialist staff, he supports the school’s teaching mission. Dr. Myers also serves as Chair of the Clinical Education Committee. This committee, comprised of the directors of the Faculty’s clinical divisions, is responsible for coordinating clinical teaching in the third and fourth years of the program. Dr. Myers is a past president of the Association of Canadian Faculties of Dentistry and was Chair of the ACFD’s Clinical Affairs Committee. He has frequently served as a site surveyor for the Commission on Dental Accreditation of Canada. Dr. Myers in a graduate of McGill University. He maintains a part-time private practice in Montreal. Dr. Quoc Nguyen is a General Dentist and Clinical Lecturer at the Jim Lund Dental Clinic at Welcome Hall Mission. He provides dental care to an underprivileged patient community and oversees treatment provided by rotating third and fourth year undergraduate student dentists. Dr. Nguyen obtained his DMD from Université de Montréal in 2011. He then completed a one- year General Practice Residency program from University of British Columbia focusing on treatment and management of medically complex patients in hospital establishments, such as the Vancouver General Hospital, St-Paul’s Hospital and BC Cancer Agency. He also had the opportunity to work in different community and rural clinics in and around Vancouver, Kelowna and Haida Gwaii. He has since then, developed a keen interest providing oral health care to underserved communities, locally and abroad. Dr. Nguyen also maintains a part-time private practice in Montreal. Dr. Sweet is a General Dentist and Clinical Faculty Lecturer in the Faculty of Dentistry. He is the supervisor of the Jim Lund Dental Clinic at Welcome Hall Mission, where he is involved in the training of third- and fourth-year dental students as well as dental hygiene students. The clinic is part of McGill’s Community Service Program, and provides free preventative and basic dental care to Montreal’s underprivileged populations. Dr. Sweet obtained his dental degree from McGill University in 2009 before completing the Advanced Education in General Dentistry residency program at the University of Rochester in 2010. In addition to academia, Dr. Sweet maintains a private practice in Montreal. Dr. Roy Raviv is a General Dentist and a Course Director/Lecturer at the Faculty of Dentistry. He oversees the Dental Anatomy course as well as the Transitioning of students from the pre-clinical phase to the clinical phase. He is also involved in the pre-clinical teaching of Fixed Prosthodontics. Dr. Raviv graduated from McGill University’s Faculty of Dentistry in 2009 and then completed a one year comprehensive multidisciplinary residency program at the Jewish General Hospital. He maintains a private practice in Montreal and functions as a consultant to the Cardiology Institute on dental matters. Prior to his Dental career Dr. Raviv obtained a Law Degree from East London University (London, England) and an International Business degree from St Thomas University (Miami, Florida). Dr. Nathalie Morin is a General Dentist and Assistant Professor at the Faculty of Dentistry. She oversees the emergency clinic rotation where fourth year students learn to be efficient in assessing and treating patients with pain and urgent treatment needs. She is also responsible for the cariology curriculum throughout the four years of the dental program and is involved with different research projects related to “access to care” within the Oral Health and Society Research Division. Dr. Morin completed her DMD from Université de Montreal in 1990 and practiced general dentistry for the Canadian Forces Dental Services as well as in private practices. She completed a Master of Public Health Dentistry at the National Institute of Dental and Craniofacial Research, in Bethesda, Maryland, and was trained to be one of two WHO gold standard examiners for the dental component of the Canadian Health Measure Survey. From 2008 to 2015 she was the Director of professional services for the Québec dental regulatory authority (L’ Ordre des dentistes du Québec). She maintains a part-time private practice at the McGill University Students & Staff Dental Clinic. Dr. Irwin Fried is a Pediatric Dentist and an Associate Professor at the Faculty of Dentistry. He oversees the undergraduate DMD pediatric dentistry curriculum and rotation schedule. Dr. Fried graduated from McGill University, Faculty of Dentistry and then completed a one-year General Practice Residency program at The Montreal Children’s Hospital. Following this, he attended the University of Minnesota where he completed a Certificate of Pediatric Dentistry and a Master of Science. Dr. Fried is a Fellow of the Royal College of Dentists of Canada and a member of numerous dental organizations. He also maintain a private office in Montreal. Dr. Chantal Czerednikow is a general dentist and clinical instructor for the Faculty of Dentistry, teaching the 4th year paediatric rotation at the Montreal Children’s Hospital. Her teaching goals are to create a supportive environment where students can grow confident in treating young children. During the rotation students learn to provide preventive and restorative treatments, while developing behaviour management skills. Dr. Czerednikow completed her DMD degree at McGill University followed by a General Practice Residency at the Montreal Children’s Hospital. She continues to work part-time at the MCH as well as in private practice as a general dentist for adults and children. Dr. Czerednikow is also involved with the Miriam Foundation which provides medical and dental services for people with intellectual disabilities and autism. She looks forward to sharing her knowledge with the next generation of dentists. Dr. Jean-Marc Retrouvey is an Orthodontist and Associate Professor in the Faculty of Dentistry. The Division’s mandate is to teach our students the basics of orthodontics and the proper diagnostic techniques. He is also an Instructor at the Montreal Children Hospital in the Pediatric Dentistry Department and the Shriners Hospital, and a Consultant in the Department of Oral and Maxillofacial Surgery at the Montreal Children Hospital where he manage patients with syndromes and rare bone diseases. His main interests are in craniofacial anomalies are with the Osteogenesis Imperfecta Foundation and the Shriners Organization where he and a team manage a muticentre grant with the NICR to further research in rare bone diseases and their influence on craniofacial development. Dr. Retrouvey also practice orthodontics part time in at his private clinic. Dr. Retrouvey is a member of several organizations including the RCDC (Royal College of Dentists of Canada) where he acts as an examiner. He is a National Dental Examiner Board advisor and responsible for question writing and translation. He also work as a consultant with the Non Insured Health Benefit (Health Canada) where he assesses claims for orthodontic services. He is currently President of the Canadian Association of Orthodontists for the year 2015-2016, a member of the American Association of Orthodonics, of the Angle East and of the College of Dentists. Dr. Nicholas Makhoul is a dual degreed and boarded Oral and Maxillofacial Surgeon with sub-specialization in Maxillofacial Oncology and Microvascular Reconstructive Surgery and an Assistant Professor in the Faculty of Dentistry. He is largely involved in the Graduate Program of Oral and Maxillofacial Surgery where he trains residents, interns and fellows both in didactics and surgical skills. He is also involved in the undergraduate OMFS program and supervises graduate and undergraduate students conducting research related to oral oncology and maxillofacial surgery. Dr. Makhoul is the head of the Department of Dentistry and OMFS at the MUHC as well as a practicing academic maxillofacial surgeon. He received his BSc with distinction from the University of Alberta in Biochemistry, DMD at McGill University and his MD at the University of Michigan. He completed his residency training in Oral and Maxillofacial Surgery as well as a fellowship in Maxillofacial Oncology and Microvascular Surgery at the University of Michigan. Dr. Geneviève Chiasson is a specialist in Oral and Maxillofacial Surgery and an Assistant Professor in the Faculty of Dentistry. She is greatly engaged in the Graduate Program of Oral and Maxillofacial Surgery at the Montreal General Hospital. She graduated from the Oral and Maxillofacial Surgery Program at Montefiore Medical Center, Albert Einstein College of Medicine in New York. She then completed a Pediatric and Adult Cleft Craniofacial Surgery Fellowship in the division of Plastic and Reconstructive Surgery at Western University. Dr. Chiasson is a member of multiple professional associations and acts as an examiner on the Royal College of Dentistry of Canada in her speciality. She is a part of the Smile International Foundation, where she acts as a Surgical Team Leader. She practices at the McGill University Health Center (MUHC), primarily at the Montreal Children's Hospital and the Montreal General Hospital and also maintains a private practice. Dr. Michel El-Hakim is an Assistant Professor in the Division of Oral and Maxillofacial Surgery at the Faculty of Dentistry. He completed his dental and medical degrees from Université de Montréal followed by a four-year residency training with a Master of Science in Oral and Maxillofacial Surgery at McGill University. He then did a fellowship in maxillofacial oncology and microvascular surgery at the University of Maryland, USA. He was director of the Division of Oral and Maxillofacial Surgery from 2010 to 2015 and OMFS program director from 2008 to 2013. He is a fellow and examiner of the Royal College of Dentists of Canada and a Diplomate of the American Board of Oral and Maxillofacial Surgery. His clinical interests are the treatment of maxillofacial malignancies and benign pathologies and microvascular reconstruction of the maxillofacial complex. His main research interest is quality of life assessment post head and neck oncologic resections. Dr. Deborah Iera is a specialist in Oral and Maxillofacial Surgery and practices at the McGill University Health Center (MUHC). She is an Assistant Professor in the Faculty of Dentistry, Director of OMFS in the undergraduate (DMD) dental program and heavily involved with the OMFS graduate programs. Her goals as Director are to expose the dental students to all aspects of OMFS through their lecture series and to provide the clinical experience through hospital rotations and oral surgery clinics supervised by specialists in the field. Having a new dental facility and still being affiliated and working jointly with the graduate OMFS program, benefits the dental students greatly. Dr. Iera obtained her dental degree at McGill University followed by a General Practice Residency Certificate at the Royal Victoria Hospital. She is also a graduate of the McGill Oral and Maxillofacial Surgery training program. She then completed a Master’s of Science and pursued her clinical training at University of Toronto doing a fellowship in Pediatric Oral and Maxillofacial Surgery at Sick Kids Hospital. She continues to be involved in pediatric and adult surgery both in her private practice in Westmount and at the MUHC teaching hospitals. She is also affiliated with Saint Justine Hospital. Dr. Bassel Kano is an Endodontist and Associate Professor in the Faculty of Dentistry. He teaches all aspects of endodontics as part of the DMD II, DMD III and DMD IV curriculum. His teaching interests include micro-endodontics and surgical micro-endodontics. The introduction of the dental operating microscope in the late 1990’s transformed the specialty of endodontics by allowing the practitioner to make a more accurate diagnosis, improved the understanding of the root morphology and increased the success rate of treatments. Dr Kano uses the microscope throughout his courses and during live presentations in the pre-clinical lab and on patients in the Undergraduate Teaching Clinic. The new facility is equipped with three dental operating microscopes. The dental students benefit from this tool by seeing step-by-step, in high magnification the surgical and non-surgical procedures. Dr. Kano attended Boston University where he received his dental degree and post-graduate endodontic training. He joined McGill University in 2007 as a clinical instructor and lecturer. In 2011, he was appointed Assistant Professor and Director of the Division of Endodontics. In 2013, Dr. Kano received the WW Wood award for excellence in dental education. Dr. Peter J. Chauvin is a clinical specialist in Oral and Maxillofacial Pathology and an Associate Professor in the Faculty of Dentistry. He is the Director of the Oral Diagnosis Clinic and course director for Oral Pathology and Medicine (DENT317) and Dental Pharmacology (DENT319). Dr. Chauvin has developed clinicopathologic conferences for the fourth year students in the course Oral Surgery and Pathology (DENT423). He is also responsible for the third year student Rotations in the Oral Diagnosis Clinic. Clinical rotations and Clinical Teaching occurs in the Oral Pathology Clinic at the Montreal General Hospital for the third and fourth year students and residents. Dr. Zovinar Der Khatchadourian is a general dentist and Faculty Lecturer at the Faculty of Dentistry. She currently teaches Orofacial pain to fourth year students and the Oral Health Research course to first year students. She established the McGill Orofacial Pain Clinic where students gain hands-on experience in diagnosis and management of various orofacial pain conditions including temporomandibular disorders. She also works at the Montreal General Hospital’s Alan Edwards Pain Management Unit, where students observe management of more challenging cases of orofacial pain in a multidisciplinary setting. Dr. Der Khatchadourian obtained her dental degree at McGill University followed by a General Practice Residency Certificate at the Montreal General Hospital. She practiced general dentistry for more than 15 years before completing in 2012 a one year Fellowship Program in Orofacial Pain at the University of Kentucky. She also maintains a private office in Laval. Dr. Frances Anne Power is a general dentist and an Assistant Professor in the Faculty of Dentistry. She is the Course Director of Community Oral Health Services as well as a small group leader for FMD Clinical Methods 1 and SIM Centre Facilitator. Dr. Power obtained her DDS at the University of Toronto in 1990. She was Coordinator of Dental Care and Hospital Staff Dentist at the West Coast of James Bay, working with underserved Cree communities, and then a Family Dentist in underserved rural Ontario communities. She became a Consultant in Community Development in 1997 collaborating with national disability groups. She joined the Faculty in 2008 to liaise with the Faculty, dental students and the Montreal community to improve access to oral health care. She is a member of the Oral Health and Society Division, Interprofessional Community Care Rounds and Chair of the Student Community Initiatives Committee. She participated in the research of “Developing a Team to Address Oral Health Disparities in Canada” and “Improving Access to Oral Health Care for Vulnerable People Living in Canada” teams. Dr. Power was the recipient of the Dr. Ralph Silverstone Teaching Award in 2013 in recognition of outstanding contribution to the undergraduate teaching program. Since 2014, she mentors graduate students in the Division of Oral Health and Society to teach undergraduate dental students. Dr. Yu Kwong Li is a General Dentist specialised in providing dental care to medically and/or physically compromised individuals. Since its inception, Dr. Li has been a volunteer within the McGill Dental Outreach Program and helps direct the community mobile clinics portion of the program. His duties involve overseeing the functioning of the equipment, as well as instruction and supervision of the dental students during the clinics. Since graduation in 1990 from the McGill Faculty of Dentistry, Dr. Li has devoted his full time practice to providing dental care to medically and/or physically compromised individuals. Using specially designed portable units, Dr. Li and his team are able to provide on-site dental care within various long term care centers within the greater Montreal region. Dr. Melvin Schwartz is a hospital based General Dentist and Associate Professor at the Faculty of Dentistry. He was Director of the General Dentistry Residency Program based at the Jewish General Hospital for many years and remains actively involved in the supervision of dental residents at the JGH. Dr. Schwartz is a graduate of McGill University’s Faculty of Dentistry. He completed a 2 year residency program in general dentistry at St. Mary’s Hospital in Montreal and subsequently has remained in hospital based dental practice. He is currently Chief of the Department of Dentistry at the Jewish General Hospital and divides his time between teaching, administration and clinical practice. He provides dental care to a varied patient population which includes individuals who are medically, physically or mentally compromised. As well he provides comprehensive dental care to healthy patients. He has participated in many areas of organized dentistry with leadership roles in the Ordre des dentistes du Quebec, Commission on Dental Accreditation of Canada, and the Canadian Association of Hospital Dentists. In 2014, Dr. Schwartz received the Faculty of Dentistry’s Outstanding Alumnus Award. ​Dr. Annie Marleau is the Chief of the Division of Dentistry, Department of Pediatric Surgery at the Montreal Children's Hospital and an Assistant Professor with the Faculty of Dentistry. In her role she oversees all aspects of clinical, research and teaching activities for the Division of Dentistry at the MCH and promotes an environment where children of all ages and social background can receive care and where dental trainees can learn about all aspects of pediatric dentistry. Dr. Marleau has practiced as a hospital dentist since her graduation from Université de Montréal and her residency training at the Montreal Children's Hospital in 1992. She is also a graduate of the Physician Management Institute leadership program offered jointly by Université de Montréal and Université de Sherbrooke. Working with special needs and medically compromised children is her main career interest. Maintaining strong ties with the community and other centers such as the Shriners' Hospital and the MAB-Mackay Rehabilitation Centre is another important aspect of her work. Dr. Nikhil Sharma is a pediatric dentist and co-program coordinator of the General Practice Residency Program at the Montreal Children's Hospital. His role at the Montreal Children’s Hospital involves working closely with the residents, teaching topics of pediatric dentistry, supervising the technical work of residents as well as developing the McGill residency program at his hospital site. Dr. Sharma graduated from McGill Dentistry in 2012, and went onto complete a year of general practice residency at the Montreal Children's hospital. After having completed his residency in 2013, he continued to specialize in the field of pediatric dentistry at the University of Rochester, in New York, at the Eastman Institute for Oral Health. He joined McGill University as the co-program coordinator in July of 2015, upon his return from Rochester, NY. He is currently a fellow of the RCDC in pediatric dentistry, and is in the process of receiving his board certification in the United States from the American Board of Pediatric Dentistry. He is also a part-time associate at a pediatric dental practice in St. Leonard. Dr. Jaime Greenspoon is a pediatric dentist and is a co-program coordinator of the General Practice Residency Program at the Montreal Children's Hospital. Dr. Greenspoon obtained her dental degree at McGill University followed by a General Practice Residency at the Montreal Children’s Hospital. She then attended the University of Rochester’s Eastman Institute for Oral Health where she completed a certificate in Pediatric Dentistry. Dr. Greenspoon is a fellow of the Royal College of Dentists of Canada and a diplomat of the American Board of Pediatric Dentistry. She also maintains a private practice in Montreal. Dr. Nour Karra is a general dentist and Director of the McGill University Hospital Centre Adult site General Practice Residency program. Her role is to manage and implement the curriculum as well as oversee the training of residents in the hospital. Dr. Karra graduated from the Faculty of Dentistry at McGill University. She then completed two years of GPR residency and a one year internship in oral and maxillofacial surgery. Following her training, she worked in private practice for three years before joining the MUHC Department of Dentistry at the Montreal General Hospital.